We often have a myopic view of the world, which limits us from “seeing” outside our own—frequently very limited—life. This narrow perspective leads to behavior that can be anything from inconsiderate to downright mean. We get so caught up in our reality that we don’t “see” how we sometimes behave. I truly believe that “nice” is underrated. civility, care, concern and kindness. With kindness on my mind I made a decision to, purposely, do something that I knew was kind. My intentions were good—heck they were great, and the intended recipient of my grand gesture responded with, “thanks”. This is where the downward spiral occurred. I proceeded to explain what I thought the response would have been. Then, I had to apologize for blowing the whole thing! It turns out that there’s sound psychological backing for being kind. And, Charles Darwin—often assumed to lean toward a view of humans as violent beings—actually talks about us being a social and caring species. Many of us live in a world where we are spontaneously kind. We may hold doors for the people behind us or use the words, “thank you” regularly. But, what if we choose to practice premeditated kindness? 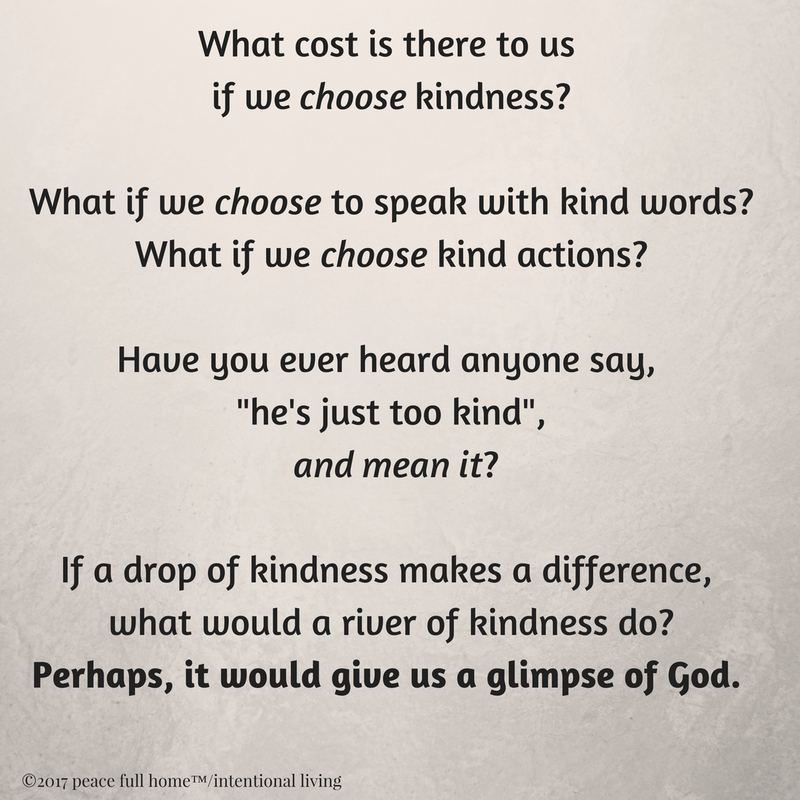 What if we choose to be intentional about kind? So, for the next seven days, why don’t we try our own social experiment? 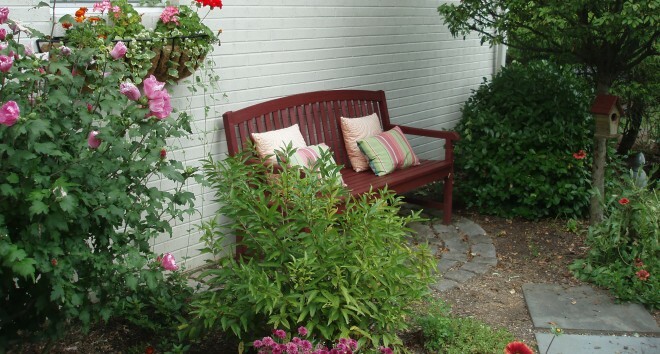 Following are simple ways we can, individually and collectively, attempt to create a “kinder, gentler world”, by seeing day-to-day life differently. Let’s try one each day and call it “Kindness Week”. 1. Ask someone how they’re doing, but with a different spin. Instead of asking the “how are you?” and expecting a one-word, perfunctory answer like, “great”, “okay” or “tired” let’s try, “How are you doing today?”. This invites the person, on the other side of the inquiry, hear the question differently, and therefore answer it differently. 2. Put away the judgment gavel. Who the heck are we to judge anyone else? 3. Smile and say, “Good morning.”, to the first person you see each day, inside and outside your home. Sounds simple, right? In actuality, there are an awful lot of people who never hear “good morning”, and, even sadder, can’t remember the last time someone smiled at them. Whether it’s a friend you’ve known your entire life, or someone you just met and sense is a “kindred spirit”, an unexpected note can change an average day into an amazing one. 5. Get to be friends with empathy. Empathy is quite different from “feeling sorry for”, or “being sad for”. True empathy occurs when we choose to put ourselves in another person’s situation—when we’re able to show compassion and understanding, and offer a listening ear. 6. Show the people you love the most what kindness looks like. Too often, the folks most important to us are the ones who are the least likely to be the recipients of our kindness. We take them for granted, assuming, “they’ll always be there”. What are we doing to validate our most significant relationships? If we don’t figure out how to be gentle with ourselves; how to encourage ourselves; how to recognize our value, it’s going to be a less-than-wonderful life. You matter too. There are many different ways to spread acts of kindness. First, acts of kindness come from the heart. Acts of kindness aren’t jokes that make you laugh. They’re things that make you feel special—you know your friends and your teachers (especially my teacher) love you. To do nice things you must be nice, understanding and caring for other persons. Nice begets nice. Kind begets kind. Oh, to be nine years old and have such wisdom! and compassion and kindness are a way of life. This entry was posted in Food For Thought, God In Our Lives, Inspirational Writing, Living Intentionally, Living Your Best Life, Peace Full Home, Peaceful Home and tagged being kind, benevolence, choices, compassion, Darwin, gentleness, gifts, God In Our Lives, grandsons, kindness, kindness revolution, revolution. Bookmark the permalink. Being kind is within everyone’s ability and doesn’t cost a thing. Isn’t it surprising that we need to be reminded to do it?! It is surprising and sad, Betsy. Maybe with baby steps we can make it happen!